Summer is a great time to sleep in, watch movies, read books, play in the sprinkler and eat ice cream! Summer should be fun and children need time to relax and play. However, the summer can be long and children can forget some of the skills they need for the upcoming school year. I am adding this post to give you some FREE, FUN ideas for helping your children practice math skills! The Second game I would like to share is Multiplication Connect Four. In my classroom we play Connect Four with multiplication cards, but you could also use cards and notebook paper and play Tic Tack Toe. Basically you play Connect Four the regular way, except, before you get a turn, you have to answer a math flash card correctly. The Third game is a game online: Alien Munch Multiplication by Fun 4 The Brain is colorful and has music the kids will enjoy. You can pick the number family you are working on to get some repeated review of one set of facts at a time. The Fourth game is a twist on a classic favorite: Multiplication War. Shuffle the cards. Pass them all out equally to the players (2-4 players works best). After all the cards are passed out, each player will turn over his/her top 2 cards. 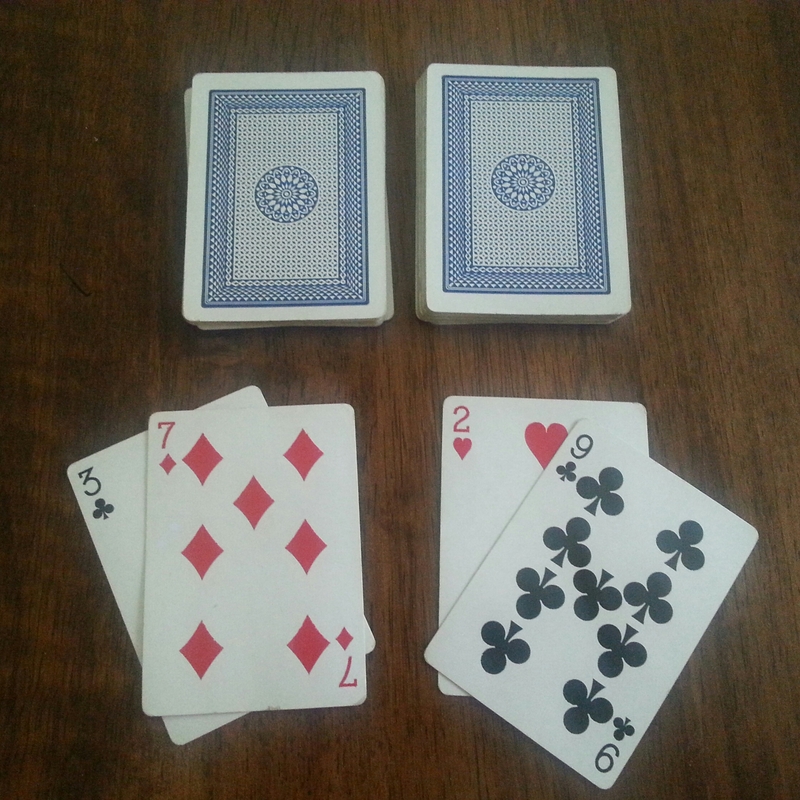 The two cards represent factors so the players will read them like a problem and name the product. Using the example below, if I have 3 and 7, I will say ” 3 times 7 equals 21″. The player with the highest product gets all the cards and places them under his/her pile. Continue playing until someone has all the cards or time is up. If playing until time is up, count cards to see who has the most. If you like you can give the students a multiplication chart to use if they don’t agree on an answer. Thank you Jennifer! I am glad you like it!